The burgers are good; really good, in fact. 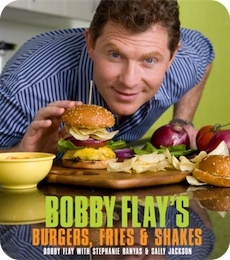 But as Flay prefers a simple burger recipe allowing the flavour of the beef to stand front and centre, with most variations using a standard patty recipe. After that's established, it really is just about toppings, with everything from the Napa Valley Burger (with Meyer Lemon-Honey Mustard) to the Arthur Avenue Burger (Fra Diavolo Ketchup, Fontina Fricos) to the Patty Melt Burger (Red Wine Onion Relish, melted Gruyère cheese, scratch-made Pickled Jalepeños). There are chicken, turkey and fish burgers, but these are obviously second string - the beef burgers are the stars. Cover image courtesy of Clarkson Potter. 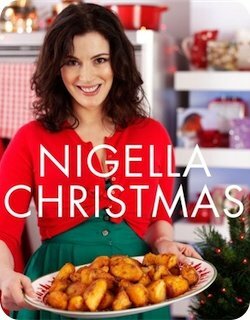 To summarize: Nigella Christmas is as bright, bold, and bedazzled as the Christmas Tree in Rockafeller Center. 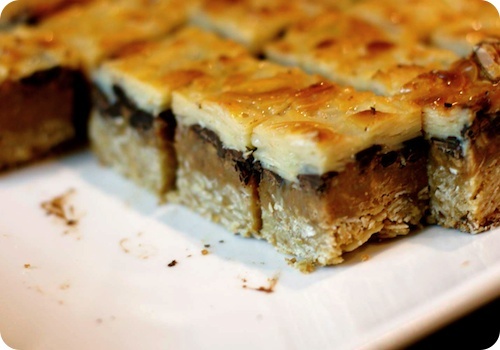 These Chocolate Almond Toffee Bars look innocent enough, but are two bites of true, gooey indulgence. Photos courtesy of Deep Media. 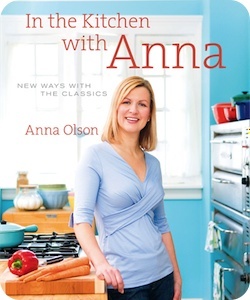 This recipe is one of my most requested, so I'm happy to include it in this book. 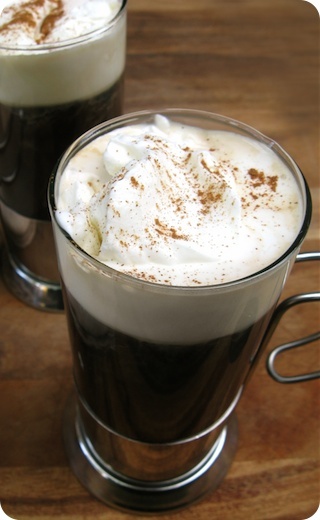 Made for lazy afternoons; Spiced Americanos with Cinnamon Whipped Cream. From the book Giada's Kitchen: New Italian Favorites. As the parents of two children under the age of three, I will admit that my husband and I do not frequent restaurants as often as we'd used to. We do still enjoy a meal out now and again, but I have to say that we do not mind the change from eating out to eating in. In fact, we're all too happy to entertain at home. 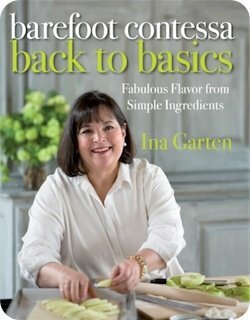 Lucky for us, this shift in our lifestyle looks to be on trend with cookbooks as well. 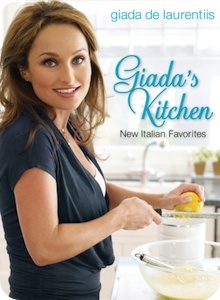 Case in point, Giada De Laurentiis, Food Network's resident expert in all things Italian, recently released Giada's Kitchen: New Italian Favorites (Clarkson Potter, 2008), focusing on a fresh, modern versions of classics from the Italian home kitchen. The famed-chef's fourth book, Giada's Kitchen promises 100 recipes which offer "the pleasures of Italian food without feeling weighed down ...[and] inspiration for delicious, hearty yet healthy weekday meals." Chapter headings are fairly standard, but with some particularly thoughtful additions that help tailor this book to not only weekday family fare, but also to casual entertaining. 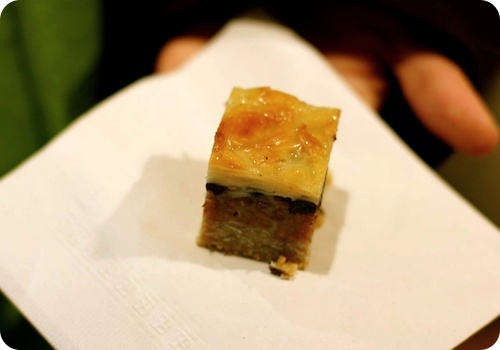 An entire section on first courses and appetizers include elegant little bites such as Crispy Smoked Mozzarella with Honey and Figs - perfectly crisp phyllo parcels of melting cheese are served alongside succulent honey-warmed figs. Cheese is a popular theme for her first courses, appearing in a goat cheese and tomato strata, a savory cheesecake, crispy crackers and in a decadent Gorgonzola and apple crostata. In this, and a few other chapters, De Laurentiis ends with a drink; this time an Apple and Thyme martini that is both unexpected and delicious. 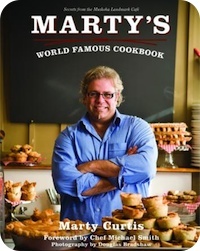 The next two sections, Soups, Paninis and Snacks and Salads and Vegetables are far and away the stars of the book. Here you will find fantastic lunch and light supper ideas like a Tuscan White Bean and Garlic soup that is buttery and rich, perfect for a cold afternoon. A sandwich that pairs warmly-spiced chicken salad with sharp radicchio and crisp pancetta is brilliant; the saltiness of the pork playing well against the aromatic chicken and brightened by the bitter chicory. Of particular success were the Spiced Armericanos (pictured) - a simple preparation that has now become our drink of choice this autumn. From the Salad and Vegetables chapter, the Spicy Parmesan Green Beans and Kale are said to be a Thanksgiving tradition in the De Laurentiis' household; after tasting them, I understand why. The perfect amount of heat, along with the richness of the cheese, compliment the vegetables wonderfully. A great way to get your greens. Fregola, those fine beads of semolina pasta similar to couscous, are dressed up in a salad with a tangy-tart orange oil, grapefruit and a generous amount of herbs. Although the Broiled Zucchini and Potatoes with Parmesan Crust were flavoursome, I do question the technique here. 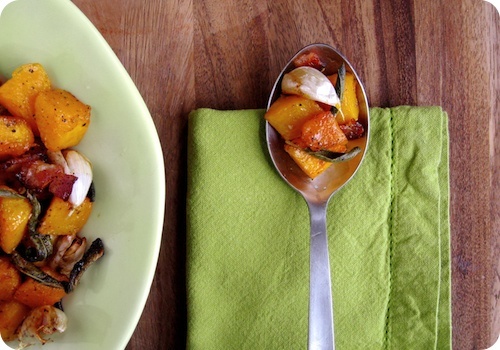 As written, the recipe requires boiling, sautéeing and finally broiling the vegetables; three cooking methods for one dish seems a bit much, even if tasty. I tried the recipe a second time, this time roasting then broiling the vegetables, for a similarly-delicious result. Surprisingly, even though solid, the remaining chapters were almost a letdown after the standouts of the first three. Orzo-Stuffed Peppers boast good textural contrast, while the Linguine with Shrimp and Lemon oil is fairly standard. Meats, poultry and fish are dressed with herbaceous and acidic accouterments like the Spicy Parsley Tomato Sauce paired with roasted beef sirloin, chicken grilled with a mouth-puckering Balsamic Barbecue Sauce, halibut adorned with a grapefruit and fennel salsa, and turkey treated to an Osso Bucco-style preparation, complete with a rough-chopped gremolata to finish. A self-proclaimed fan of butternut squash, De Laurentiis uses the vegetable-like fruit in a Marsala-soused beef stew, a vanilla-flecked risotto and a golden-hued rigatoni with prawns. Those familiar with De Laurentiis' many television programs and previous books will know her for her sweet tooth. 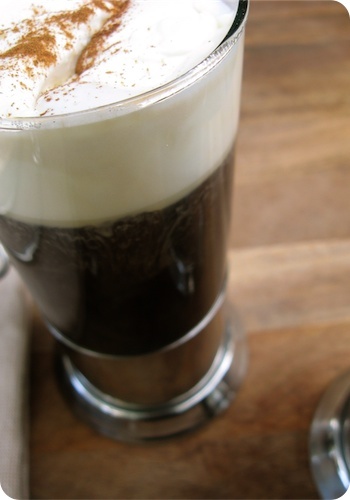 Her chapter on desserts must surely tempt that weakness; the Ricotta Cappuccino was dangerously quick to come together, but luxurious in its finish. Creamy, sharp and with a touch of spice, it was a perfect end to a casual meal. The Berry Strata is a brighter version of the classic bread pudding; I especially appreciate the way the juices of the fruit stain the custard in tie-dyed patterns. Gorgeous for breakfast or dessert. 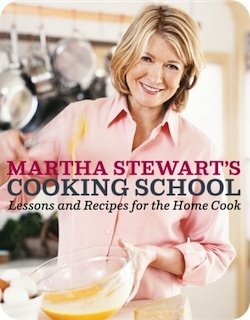 A chapter on cooking for children rounds out the book, and as much as I understand the desire to please fussy palates, many of these dishes fell flat in testing - but were not without merit. The Proscuitto Mozzarella Pinwheels were easy to assemble, and a fun recipe to try with children. Sadly, a filling of slick, chewy meat can be difficult for little ones to chew. The Orecchiette with Mini Chicken Meatballs was great, after I tweaked things a bit. The recipe itself calls for minimal seasoning, and in my mind it verged on bland. 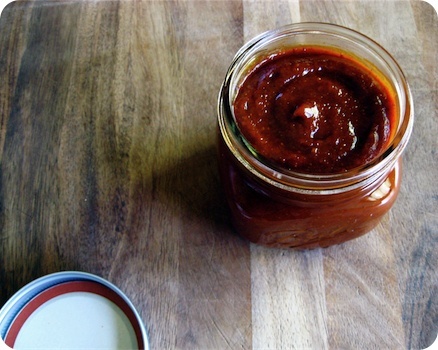 However, once tailored to our tastes by concentrating the sauce, a touch of salt and a hefty sprinkling of red pepper flakes, it is a recipe I would make again. This section does include a gem of a recipe for Chocolate Chip Pound Cake. Dense without being heavy, with easy preparation that can all be done by hand, the deeply-flavoured treat will definitely be making its way into my gift-giving this holiday season. The book is well designed, with an open and easy-to-read page layout. With one recipe per page, there is a generous amount of space devoted to backstory and specific notes in preparation and methodology. The majority of dishes feature accompanying full-colour photographs by Tina Rupp, shot simply and beautifully. Now and again, double page spreads of step-by-step photos complement specific dishes, and work well as a subtle showcase the photogenic author. The styling is homey and welcoming, with a touch of a feminine prettiness fitting De Laurentiis' established aesthetic. Well-suited to the types of foods that many of us are looking to serve in our homes; dishes are fresher, with a strong emphasis on vegetables and creative uses of healthier lean proteins. The book Giada's Kitchen is a timely addition to a cook's library, with satisfying meals that would make almost anyone feel right at home. Reminiscent of the cascade in a well-drawn pint of Guinness, softy-whipped cream slumps, swirls, and finally melts into aromatic espresso. Note: In addition to the book, De Laurentiis ended her five seasons of the show that made her famous, Everyday Italian, to begin a new program, Giada at home. The new series premiered in the United States on October 18, 2008. 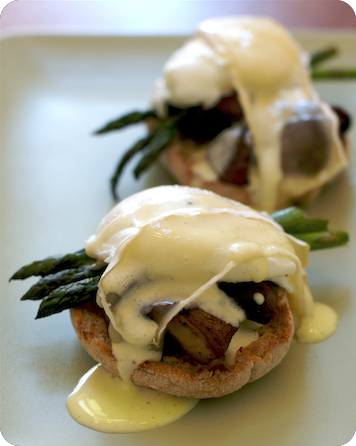 A decadent brunch from Marty's World Famous Cookbook, Eggs Benedict with Melted Brie and Asparagus (vegetarian variation with cremini mushrooms). Photo courtesy Deep Media. Cover image courtesy Whitecap Books.